Broward County is in the process of planning a new hotel and the expansion of the Conventions Center at the Northport area of Port Everglades. This will entail the partial demolition of the Northport parking garage which currently accommodates parking for cruise passengers. 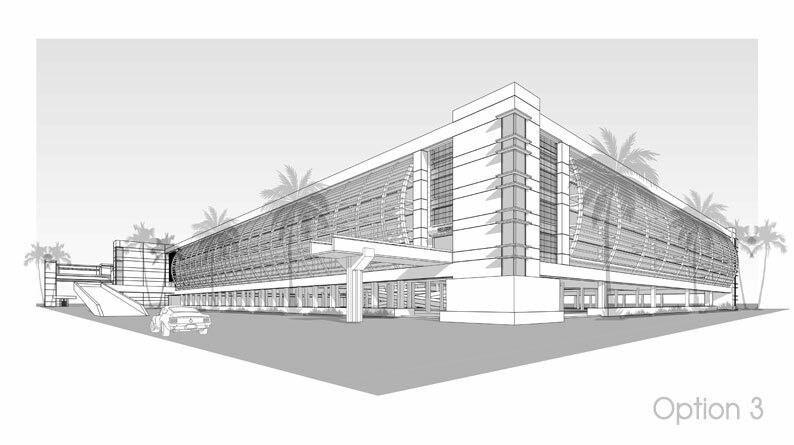 The Cartaya and Associates Design Team has been selected to design a new 1,900 car parking garage on four (4) levels to serve Cruise Terminals 2 and 4. A pedestrian bridge, containing moving walkways will enable passengers using Cruise Terminal 2 to access the ship in air conditioned comfort.